Tibet is part of the People’s Republic of China, located in the southwestern area, bordering Yunnan, Sichuan, Qinghai and Xinjiang. It is bounded on the west and south by the Kashmir Zone, Myanmar, India, Bhutan, Sikkim and Nepal. It is north of the Himalayas and is the highest region on Earth with an average elevation of 4,900metres. 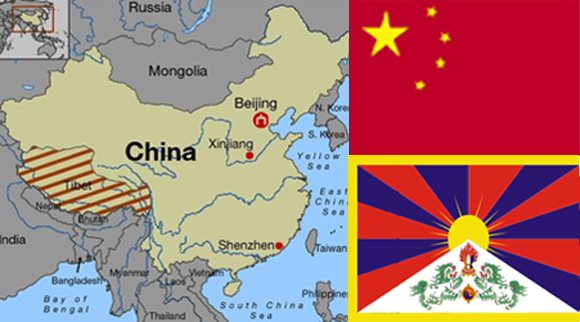 The population of Tibet consists of ethnic Tibetans, Hu Chinese, Menba, Lhoba and Mongols. 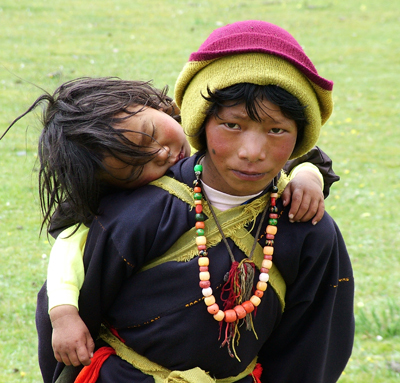 Approximately 40% of the ethnic Tibetan population is nomadic or semi-nomadic. 80% of the population is in the eastern part of Tibet, along the valley of the Brahmaputra River. Due to its harsh climate, few people live in the northern part of the Qinghai-Xizang Plateau. Tibet is one of the poorest areas in the world, lacking basic housing, education and health care. Only 37% of the population has access to clean water. 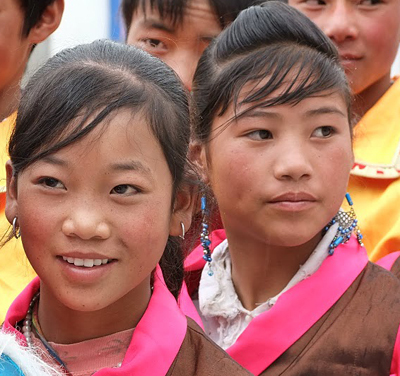 Educational development has been hampered by the China-Tibet political struggles. The level of education is weak due teacher and material shortages as well as high drop-out rates. Many remote areas do not have schools and fees in areas where there are schools can often not be afforded. Lithang, a part of the Kham, is located in eastern Tibet close to Chengdu in the Chinese province of Sichuanat an altitude of 3000 to 5000 m.
A dorm room of the dormitory. 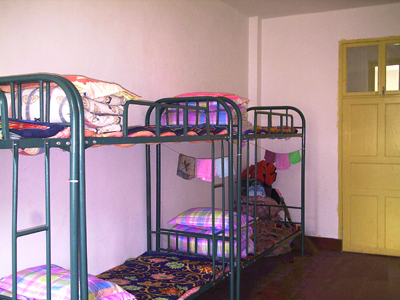 There are eight children in each dorm room. The refectory, the dispensary and the hall for study and recreation for the students, on the ground floor of the Dormitory.